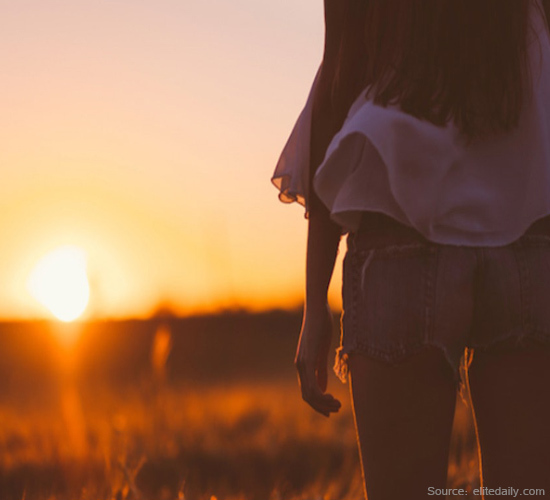 The summer solstice is the longest day of the year, which means there is more sunshine and fun for you to enjoy! It marks the middle of summer and many revelers make a beeline for Stonehenge. Don’t worry if that trek is a step too far for you. There is plenty for you to enjoy. While the summer solstice is the longest day of the year, it’s not the longest day ever. That record is held by the year 1912. So, what’s the deal with the solstice? Well, as you know the earth orbits the sun and sits on its tilted axis as it does so. This means that the Northern Hemisphere sees more sunlight throughout the day between the months of March and September. However, the other months see the Southern Hemisphere get the sun. It’s why we have seasons. The tilt of the Earth’s axis (23.5 degrees or thereabouts) means each hemisphere receives sunlight differently as we orbit the sun. In June, our summer solstice is when the sun’s rays are at their most northern point. The sun hits along the Tropic of Cancer, directly overhead. When you take into consideration the fact that solstice literally means sun standing still it all makes sense. This is why we celebrate the summer solstice. In fact, we have done for… well, thousands of years. So, dealing with striking sunrays is absolutely inevitable! You might want to consider stocking up summer skincare essentials from SkinStore.com now available at a discounted price. The solstice is a day of celebrating for pagans across the world. Many of whom perform rebirth rituals as they have been performed throughout history. Stonehenge is the largest of these celebrations, at least it is in the UK. However, it draws visitors from all over. People gather to enjoy the sunrise. While many of them dress up to partake of the occasion, it isn’t compulsory. 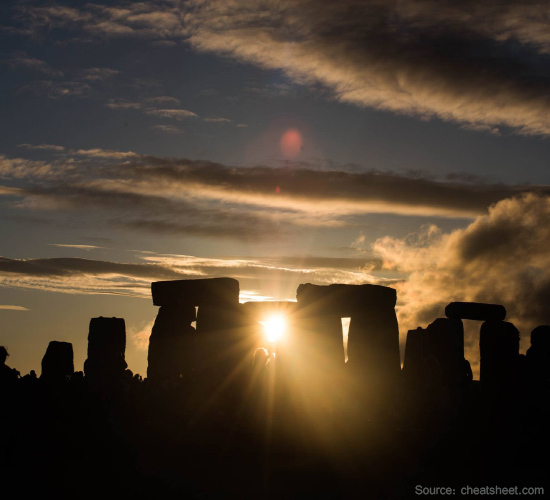 This is just one of the many pagan festivals that is held to celebrate the arrival of the summer solstice. For other countries, the day is linked to fertility, while other rituals may be based on religion. The Polish Wianki celebrations mirror that of those in the UK. However, in Estonia, the day is set aside to mark the shifting patterns in the agricultural industry. Ukraine takes it to another level, though. Here, revelers hop bonfires in a bid to test both their religious faith, as well as their courage. This is also mimicked in Russia. In Sweden, they snack on strawberries and in China the Dragon Boat Festival takes place. That’s just a few examples, there are festivals being held to celebrate the summer solstice all over the planet. You don’t have to call yourself a pagan to enjoy the day – there are plenty of ways in which you can participate. One of the most popular options, of course, is to hold a barbecue for friends and family. If you are lucky enough to get along with your neighbors you may want to consider a block party for which you might require a wine refrigerator available at Compact Appliance for a low price. You can hold games for the children and really take advantage of the long light and the official start of summer. Of course, you may want to choose a country theme and get adventurous by embracing their traditions for the day. However, if you do plan to celebrate the solstice in a religious manner, there are a few things you should know. It’s all about creating a sacred space. So, how you choose to proceed will be very much up to you and your religious beliefs. Generally speaking, you should create a circle (you can use stones or wood) that will align to meet the sunrise (or sunset). This tends to factor in the landscape around you as to incorporate the natural beauty of your surroundings. If you want to dress for the occasion, then handmade clothes made from natural fibers are generally preferred (floral crowns are a must). You can dress in similar garments to your own ancestors or perhaps the culture where you are joining the festival. For example, for those religions who worship the sun, the participants generally wear white robes with yellow sashes. Black is generally not recommended as it can welcome dark forces. If you want to incorporate a bit of both for your friends and family then you can do that, too. You can still enjoy a barbecue and settle down with friends to enjoy the sunset. If you are really adventurous you can invite your friends to a no sleepover. You can catch the sunrise together before crashing for a few hours and firing up the barbecue all over again. It really doesn’t matter what you do to recognize the summer solstice, as long as you have fun while doing it. Just don’t forget to feast, hold a bonfire, and enjoy being with the ones you love.